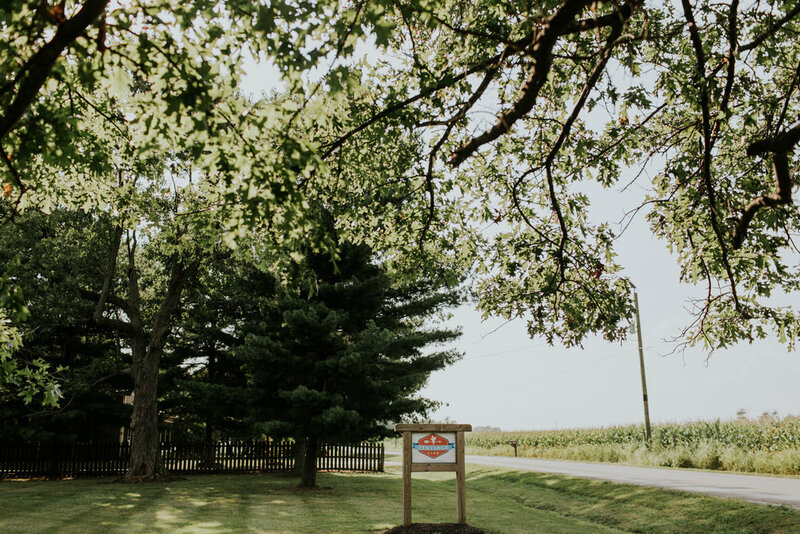 Zyntango Farm is the place where friends and family gather to commemorate the beautiful celebration as two families become ONE in a peaceful, outdoor setting nestled in the beauty of pastoral Indiana. 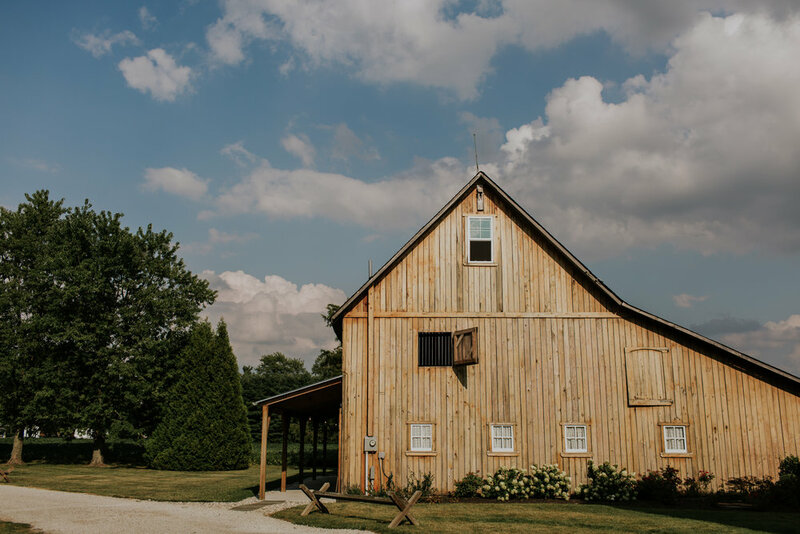 Zyntango Farm’s barn was built in the 1800’s, and the farm was an active farm with a working barn and a quaint farmhouse just steps away. Bret and Shawna Reinhardt purchased the farm in 2013, and they quickly realized this beautiful, historic barn and farmhouse needed to be brought back to life. Once the barn was restored, it was a charming mix of old and new as the two-story barn was transformed into an inviting venue with a unique balance of rustic charm and elegance. The upstairs hayloft has three stunning, crystal chandeliers setting the stage where guests gather for either a ceremony, dancing, or eating. The downstairs is lit with Bistro lighting throughout the large, welcoming room, and it conveniently opens out to a covered and uncovered patio. This patio effortlessly transforms into a dance floor for the evening festivities. Standing leisurely on the outside patio, guests can gaze across the well-groomed farm yard at the charming pergola and the alluring bonfire pit all set in an inviting Indiana landscape. Not only does Zyntango Farm offer the rustic chic look in and of itself, but the venue also offers a plethora of décor for clients that range from mason jars, signage, crates, buckets, lanterns, and those extra special, small décor details that pull your special day together. Zyntango Farm accommodates up to 200 guests with options to rent the facility on a Friday, Saturday, Sunday, or for the entire weekend from Friday at 4pm to Sunday at 10am. In addition, Zyntango Farm offers a variety of services. One option is perfect for the do it yourself couples; this option allows couples to design their own décor, do the set up, and tear down. Yet another option offers a menu of services that can be selected by other couples who want to off load those extra tasks to the team. The farm team expertly plans, organizes and manages the day so the loving couple can immerse themselves in their wedding experience and their family members are able to just show up and enjoy the camaraderie and the merriment of the day with everything skillfully done. But, the amenities don't stop there! Keep in mind that the quaint farmhouse adjacent to the barn! This farmhouse comes with a full kitchen, 2 full baths, and 2 bedrooms. Depending on the selected rental option, couples can use this house for the full weekend or just for the day/night of the event to get ready in and spend the night. This option alleviates traveling or booking a hotel, and it is an unique add on that should not be taken for granted. The farmhouse can be used to have all the girls in one spot getting their hair and make-up done, and it offers a relaxing space to enjoy the morning at ease without having to rush from one place to another. The space can also be split; the girls can have one side and the guys can have another. Usage of the farmhouse also allows another access point, so brides and grooms don't have to see each other, and those special "first looks" are preserved as extraordinary times. If any of those descriptions peak your interest, then Zyntango Farm is the venue you for you! You’ll be able to enjoy the appeal of the Indiana countryside without having to travel too far from the city. 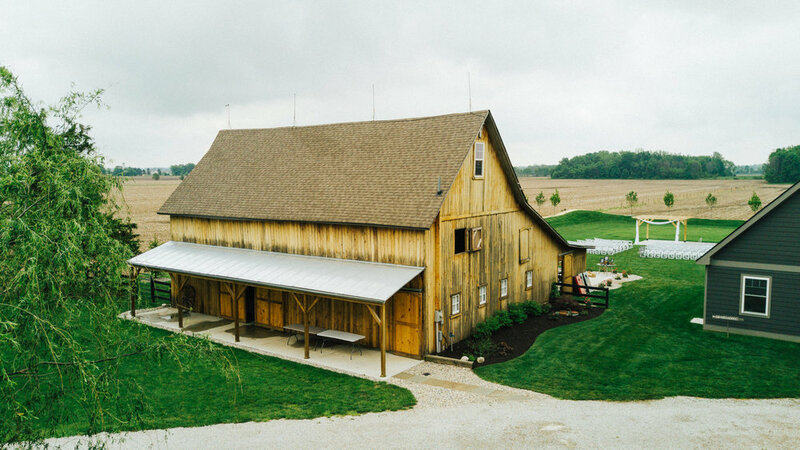 Zyntango Farm is conveniently situated just 30 minutes from downtown Indy, and 3 miles off of I-65 your rustic, charming venue awaits you!